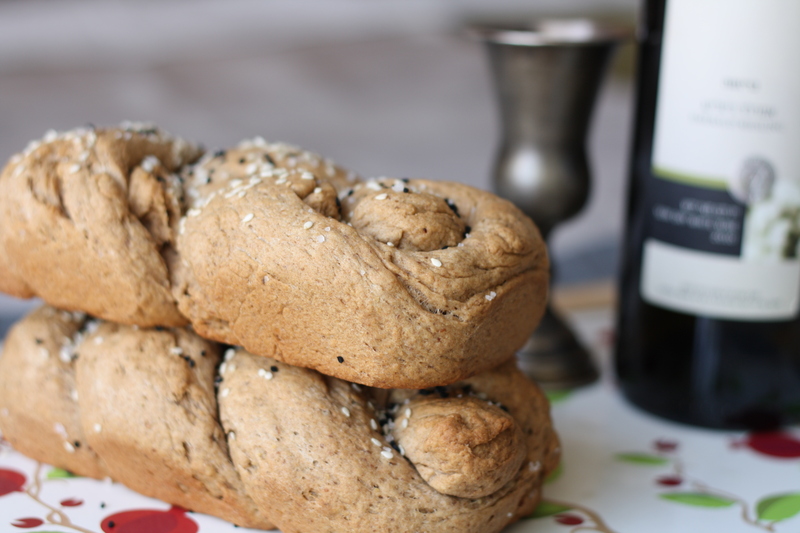 I wouldn’t normally post about a typical Jewish food in a food blog. That’s because, although being Jewish is part of my identity, I don’t think typical Jewish food is particularly appetizing. In fact, I identify much better culinarily-speaking with being Israeli than being Jewish. 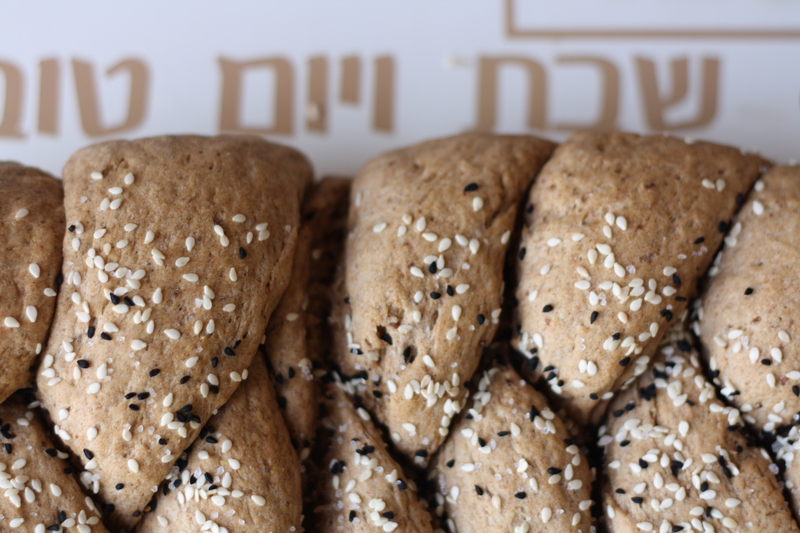 As someone who grew up in Israel, typical Jewish food sometimes feels even foreign to me. My brothers and I grew up on typical Israeli and Mediterranean foods, not Jewish. I did not grow up on kugel or lox, and the first time I even tasted a bagel was when we moved to California. The only thing I ever came in close contact with that could be classified “typically Jewish” was my grandmother’s Gefilteh-Fish. It was delicious, until I grew up a little and realized the savory patties with the pretty carrot garnish were made from whole, ground up fish. 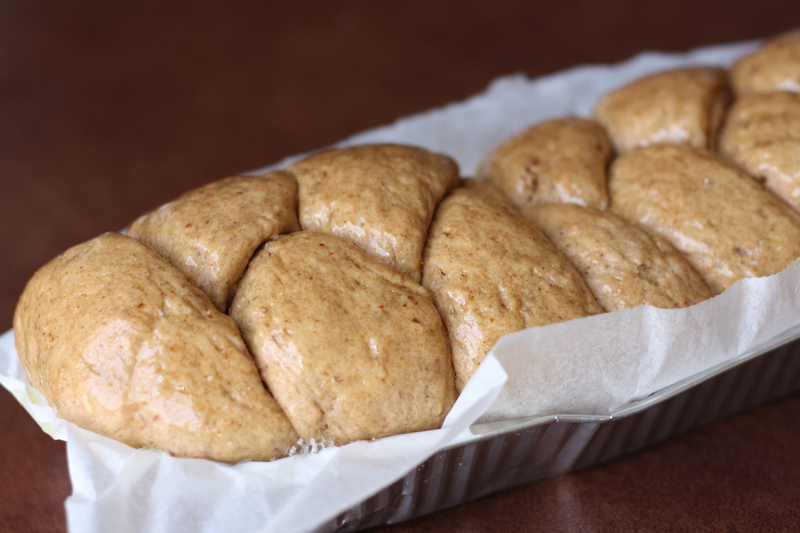 Challah, however, is an exception. It’s amazingly sweet and tender, rich, and will make your home smell deliciously like a bakery. 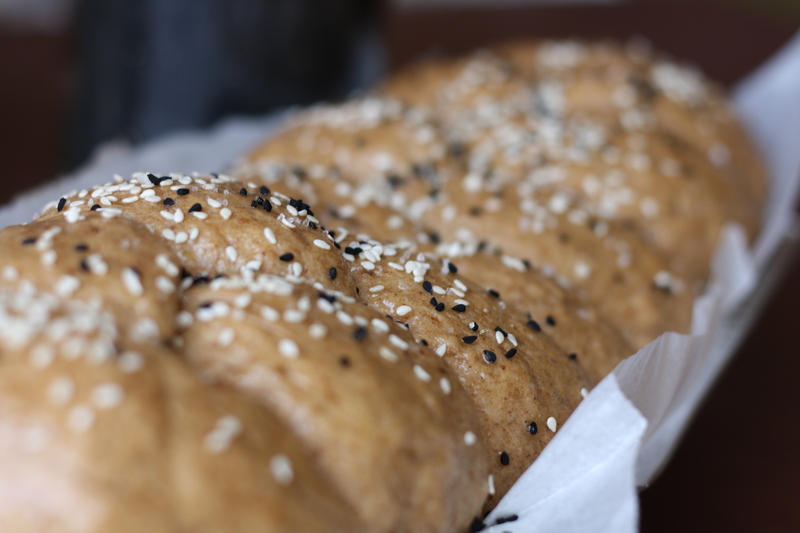 Anyone who has ever made bread at home will agree that few scents match the one of freshly baked bread wafting through the house. Even more so when it’s made week after week, almost as a ritual, welcoming the weekend and the rest and calm it will bring with a pleasant, warm, homey smell. 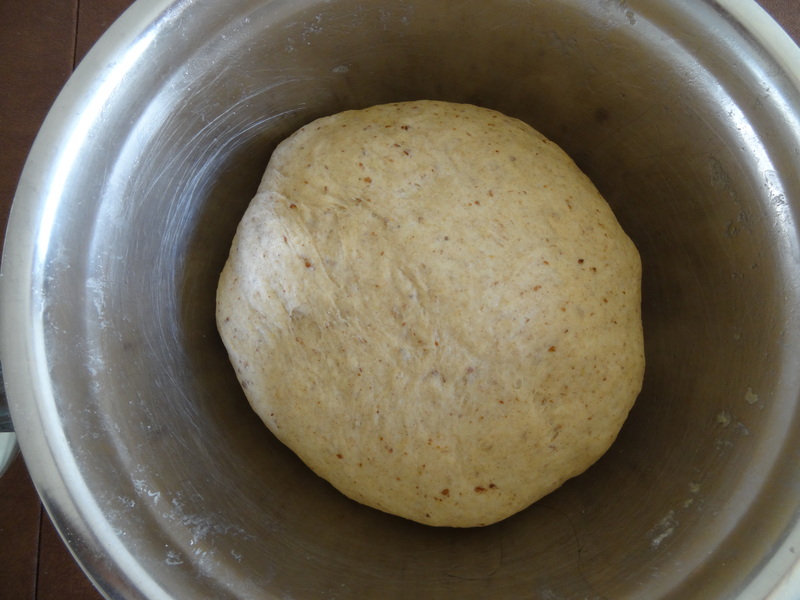 I know many people out there are a bit wary about working with dough made with yeast, but it’s really not a big deal. It’s just one of those things you need to tackle and try for yourself in order to see how simple it actually is. There are a few guidelines and I will give them all in the instructions, so that you can’t go wrong. I recently made these vegan for the first time have been making these vegan since the first time I tried doing it and they come out just as tender and soft. I replaced the eggs with ground flaxseed mixed with water. The only downside to this variation is that I needed to skip the eggwash, which glazes over during baking and makes it shiny… I remembered making bagels and cooking them in water with baking soda to make them shiny, so to get a similar effect I dissolved a tablespoon of baking soda into a cup of hot water and used that instead of the eggwash. 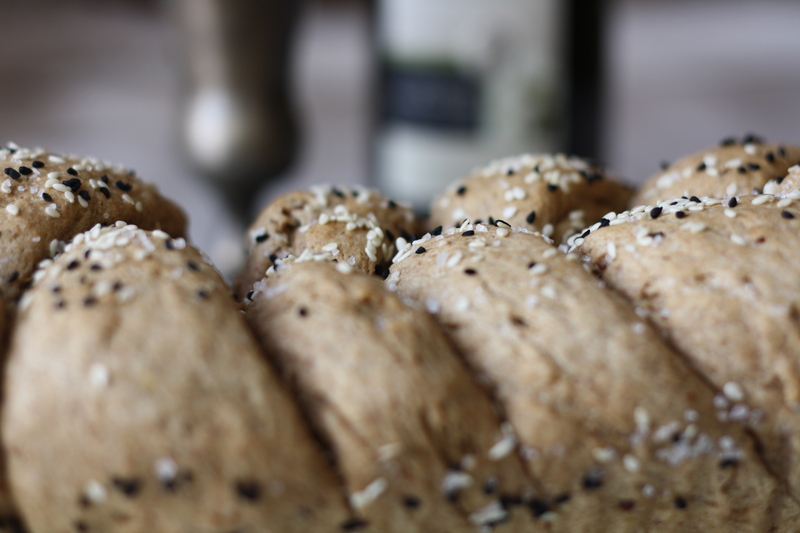 It’s also possible to brush the bread with some olive oil before baking. It doesn’t look as impressive in my opinion but the flavor and texture were equivalent (if not better). 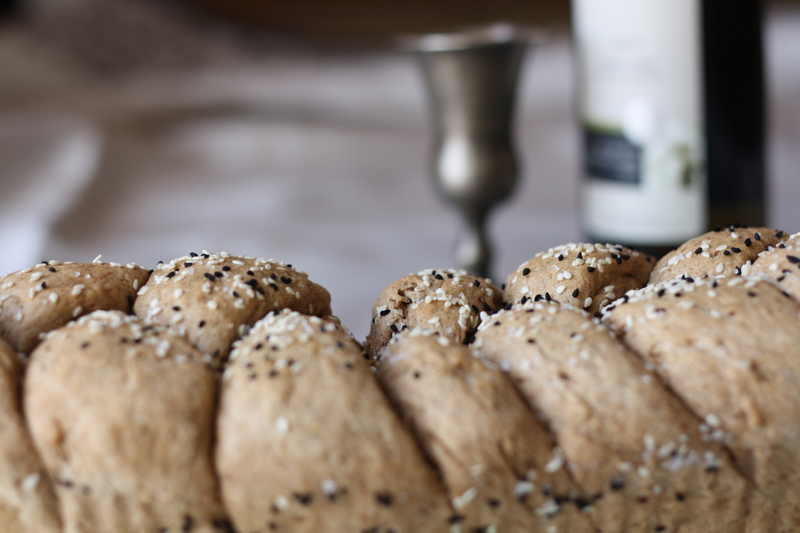 Challah bread goes well with anything. It can be sliced and made into decadent sandwiches, or french toast. 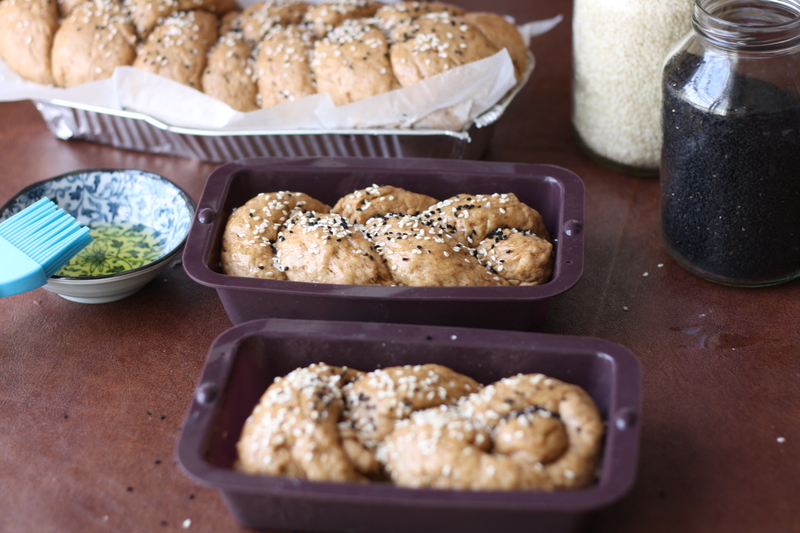 It can be shaped however you want it – from a huge, 5-braided challah to little personal challah-buns. 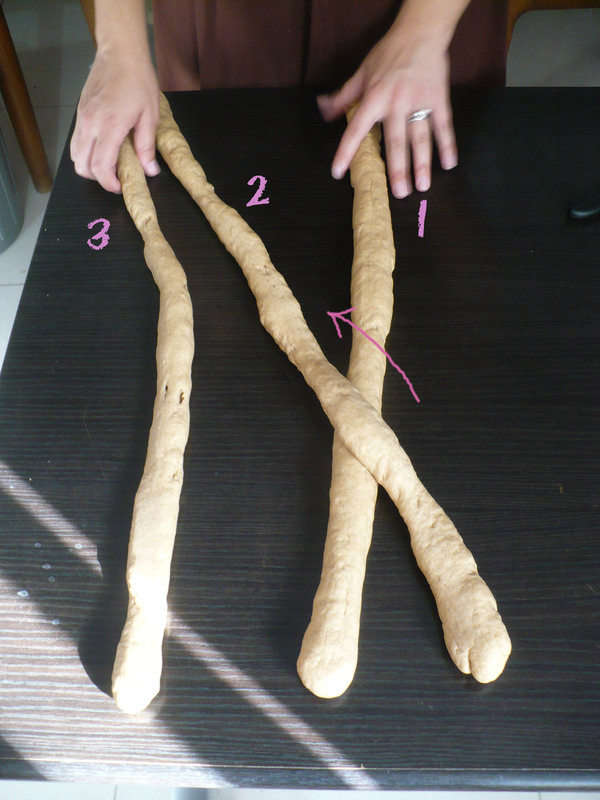 Traditionally, they are braided from three strands of dough. We usually eat it with homemade hummus, or rip pieces and use them to soak up Za’atar with olive oil, the juices left in the bottom of the salad bowl, or the sauce from a spicy main dish, like Morrocan fish. 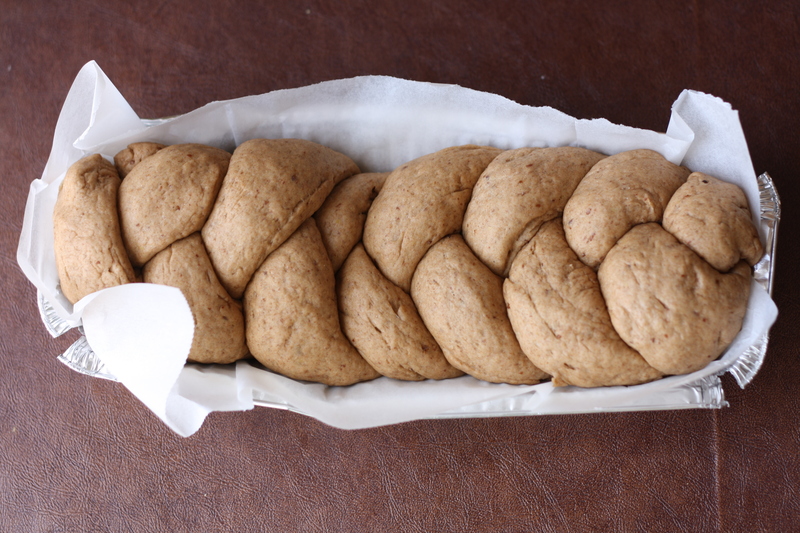 The Challah should be kept in a sealed bag to preserve freshness. 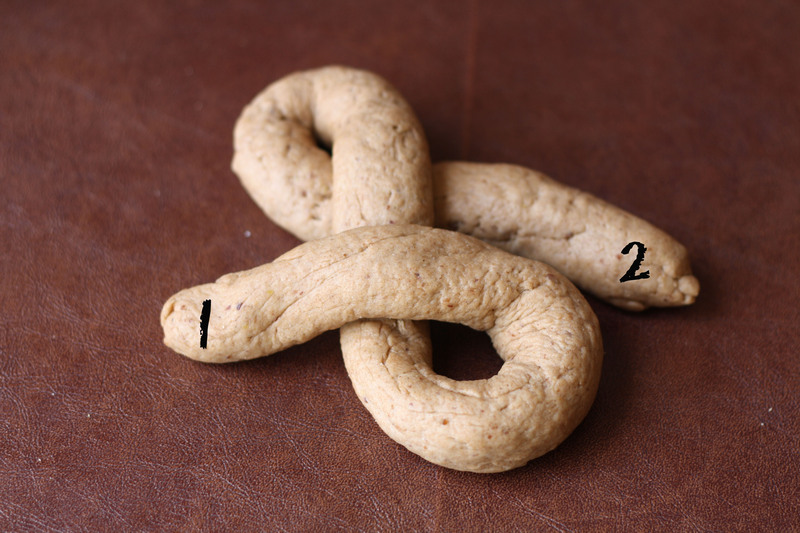 Challah-eaters divide into two schools of practice: the Cutters and the Rippers.I personally am a Ripper and the Challah actually tastes better to me when it’s ripped into chunks. Which kind are you??? 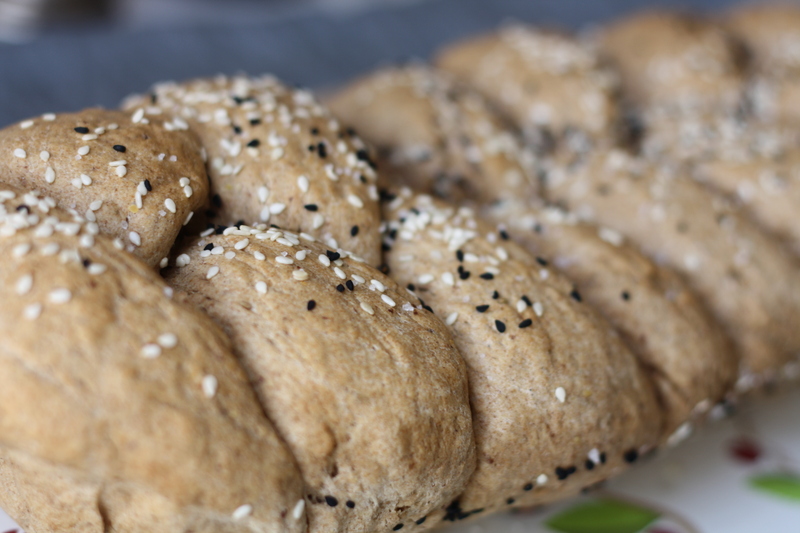 This recipe is based on my mother’s recipe for making challah, which is based on a recipe by Karin Goren. 3 Tbs. 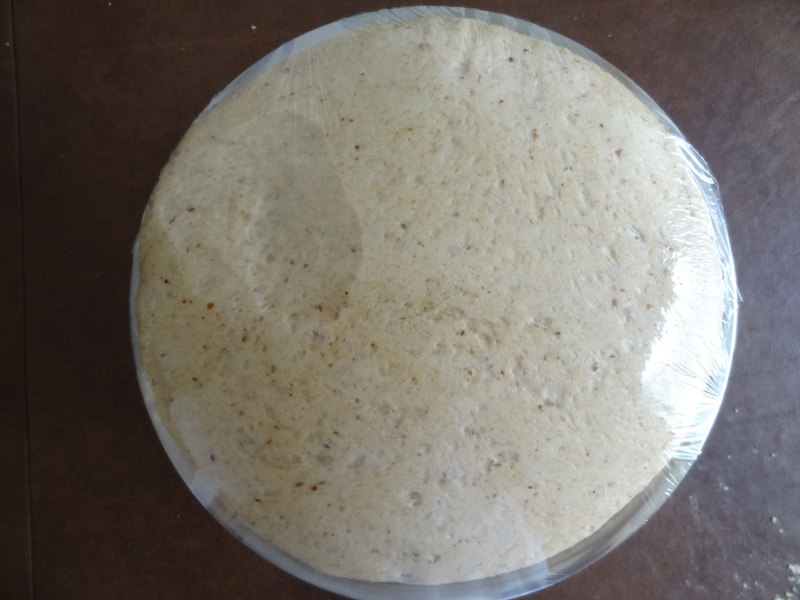 instant dry yeast OR 50 grams (1.7 ounce) fresh yeast. …And flour. I don’t normally recommend certain brands over others (in fact, I do my best to ghetto-fy all my products before photographing them so that no subliminal messages about one brand over another are accidentally sent)… BUT. This flour is literally magic. It is 100% whole wheat, but somehow acts like all-purpose (or better). 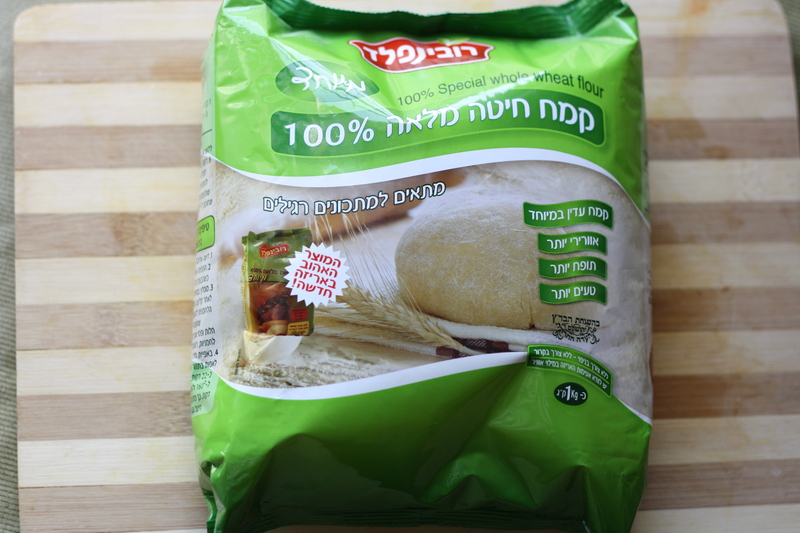 It’s the best experience I’ve had with whole-wheat flour, and if you live around Jerusalem I highly recommend getting them (message me for the location of my spice-guy, where I buy these). Also, if you live in a different place (in Israel or the world!) 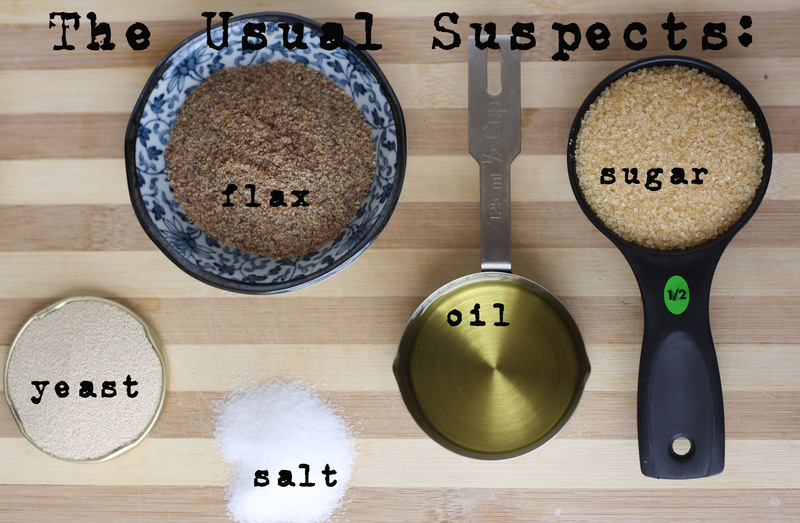 and have come across a no-fuss, fool-proof, go-to whole-wheat flour that makes you feel like a magician, please share your findings in the comments below so that other readers can enjoy the knowledge as well! Start by giving the yeast some love. 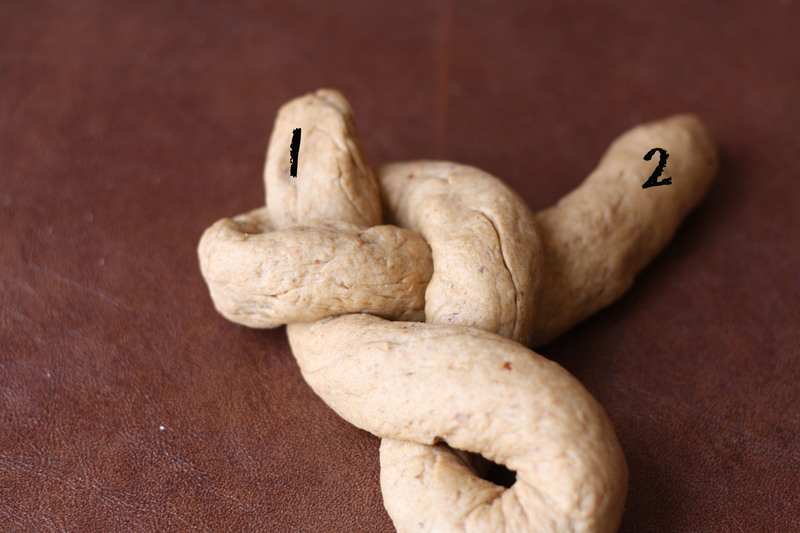 This is especially important if you’re using fresh yeast and not instant dry. In a large mixing bowl (or the bowl of your stand mixer), dissolve 1/4 cup of sugar in 1/2 cup of hot water. 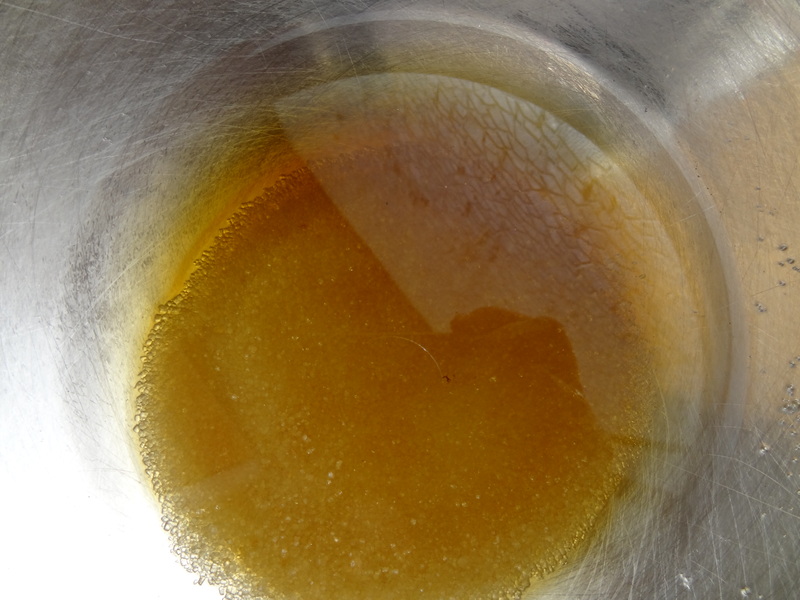 After the sugar has dissolved, add 1/2 cup of cold water to even out the temperature and make it warm. The yeast needs warmth and sugar to grow, and that’s why we are doing this – but if the water is too hot it will kill the yeast. 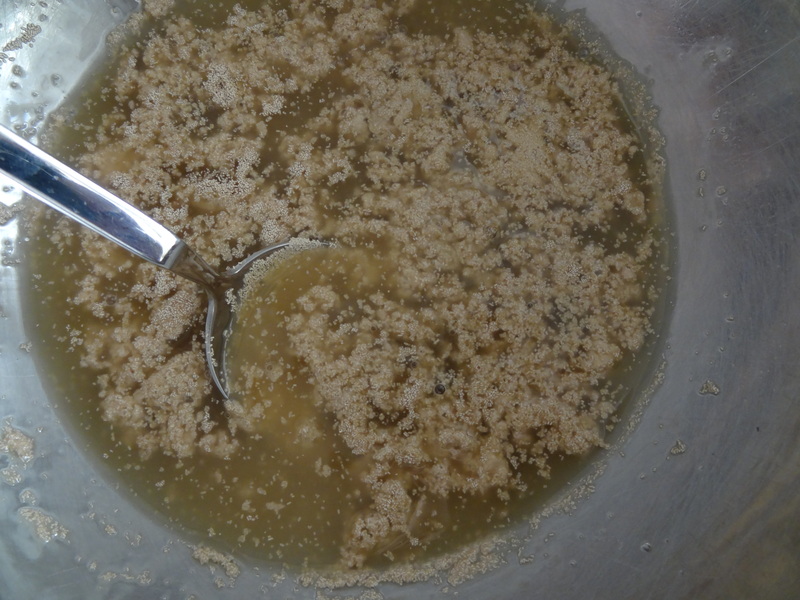 Add the yeast to the warm sugar water and mix gently. 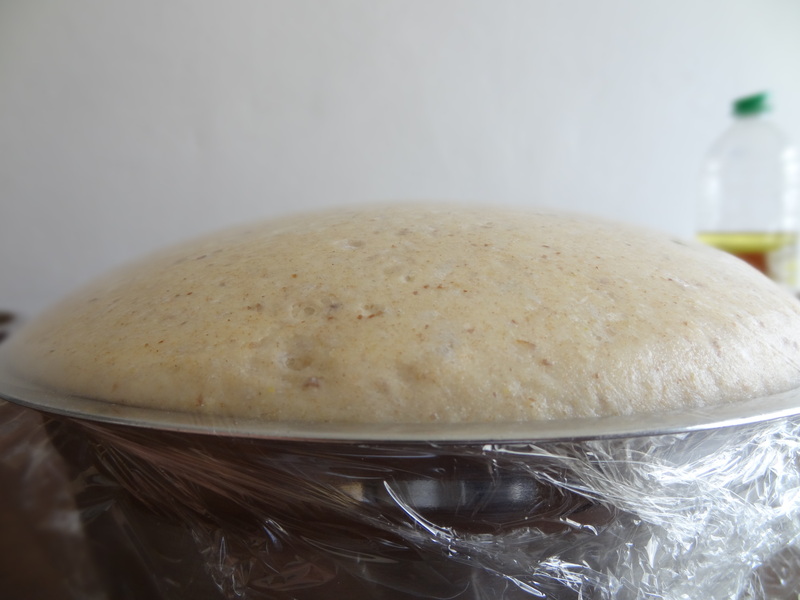 If you are using fresh yeast, let it stand for a few minutes until it froths up. 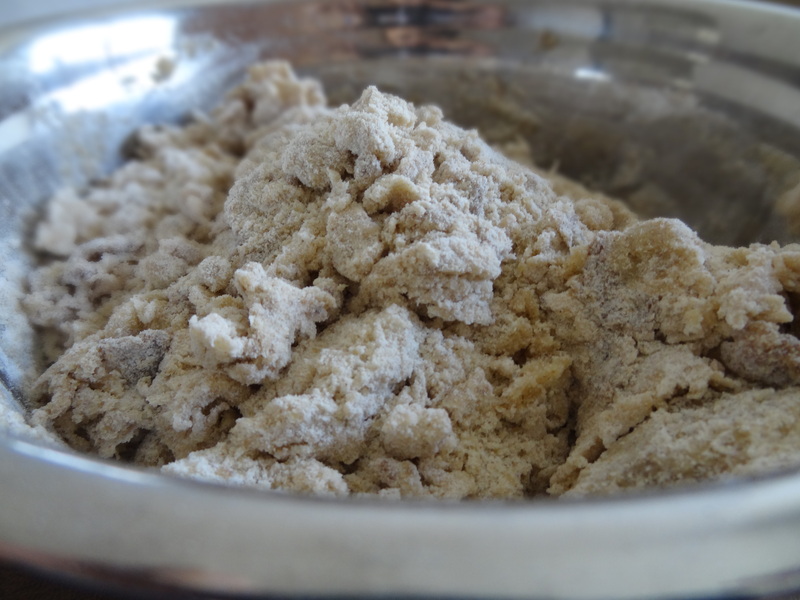 If using instant dry yeast, you can skip that step (instant dry is a bit less high maintenace). 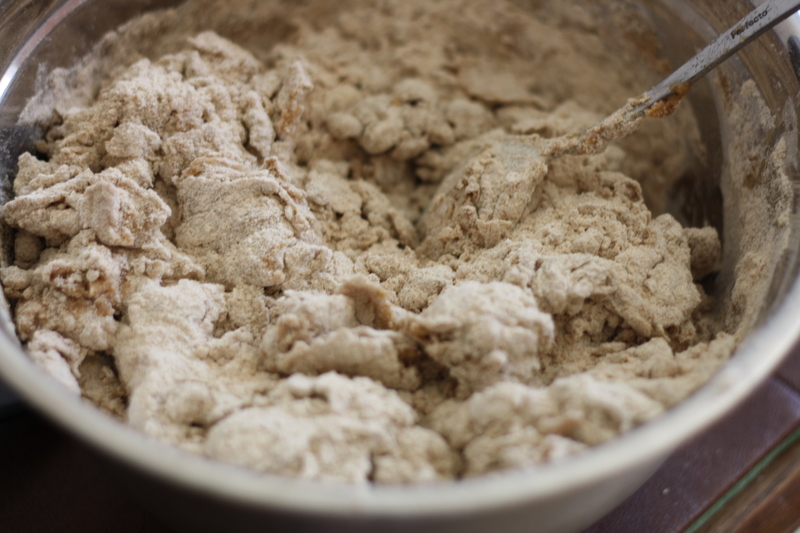 Measure out flour and pour into the bowl, covering up the yeasty mixture but not yet mixing. We want to give the yeast some more time to activate, so for now we will just cover it with the rest of the ingredients. Mix the ground flax with 9 tablespoons of water until thick (skip this step if you are to be using eggs). Add the rest of the sugar, the flax mixture (or eggs), the oil, and the salt. Now you can start mixing. If you are fortunate enough to own a stand mixer, start slow (the ‘stir’ setting) with the dough hook attachment. If not, grab a fork and get to work. 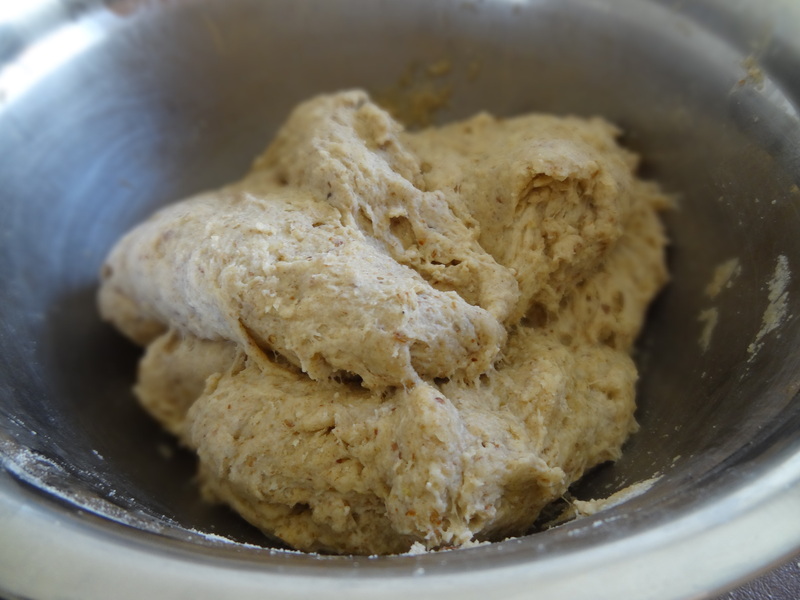 When all the ingredients are pretty much incorporated (it won’t look anything like dough yet but you shouldn’t be able to discern any one ingredient), start adding the rest of the water and kneading by hand / increasing the speed (use your manufacturer’s recommended setting for kneading). This is really important: Add the water slowly and patiently!!! You might not have to, in fact, you most likely will not have to use all of it. 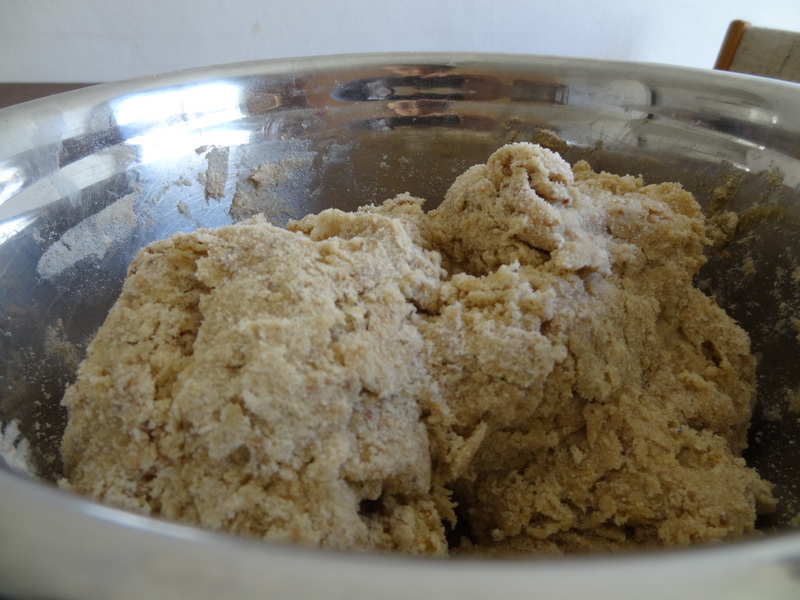 Add a little bit at a time, keep kneading, and only then add more water if you need to. It seriously only takes one teaspoon to turn almost-there dough into a sticky mess that overdosed on water, and then you have to start evening it our with more flour, and… It never ends. It’s a slippery slope that is better left un-entered. You’ve been warned. 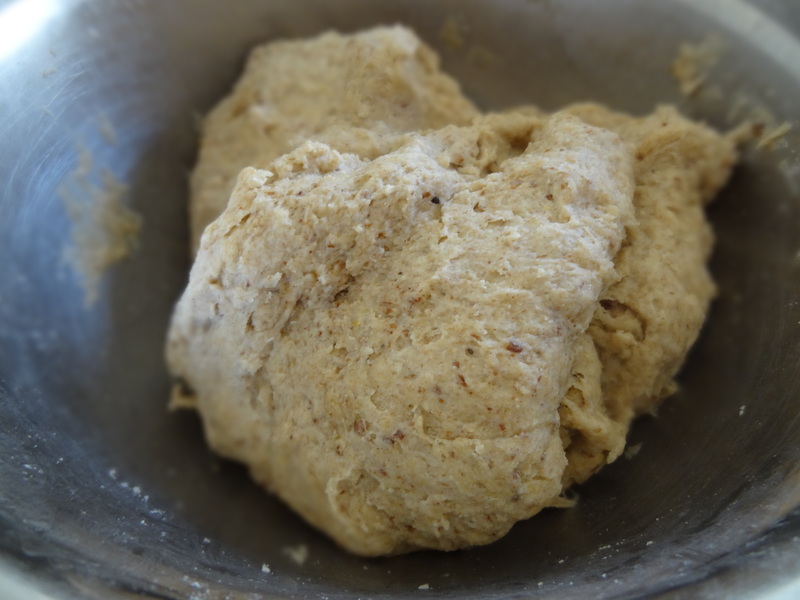 You will need to knead (ha) the dough for about 20 minutes by hand or 10 minutes by mixer after you’ve added all the necessary water. 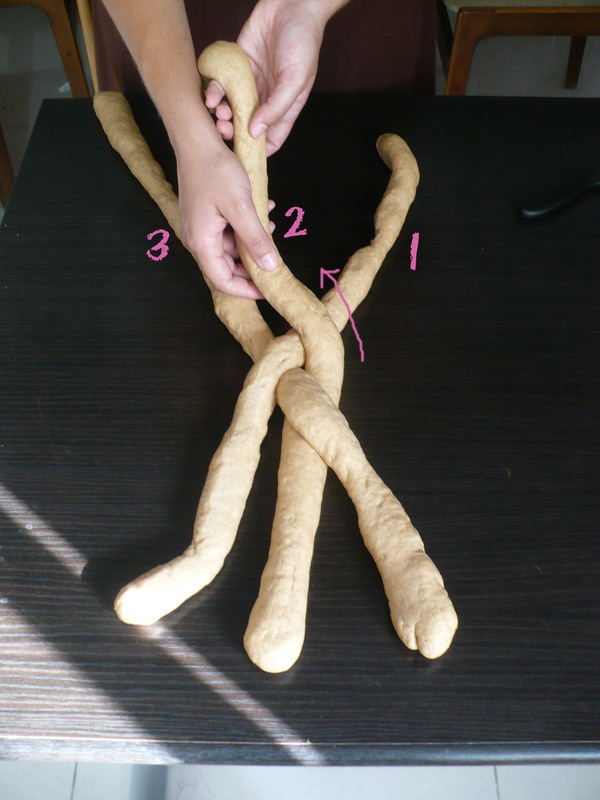 By stretching and playing with the dough you are creating gluten bonds, which will trap the gasses emitted by the yeast, and thereby make your bread nice and fluffy. You want to get the dough to a point where it’s nice and shiny, soft, and uniform, but not too sticky. 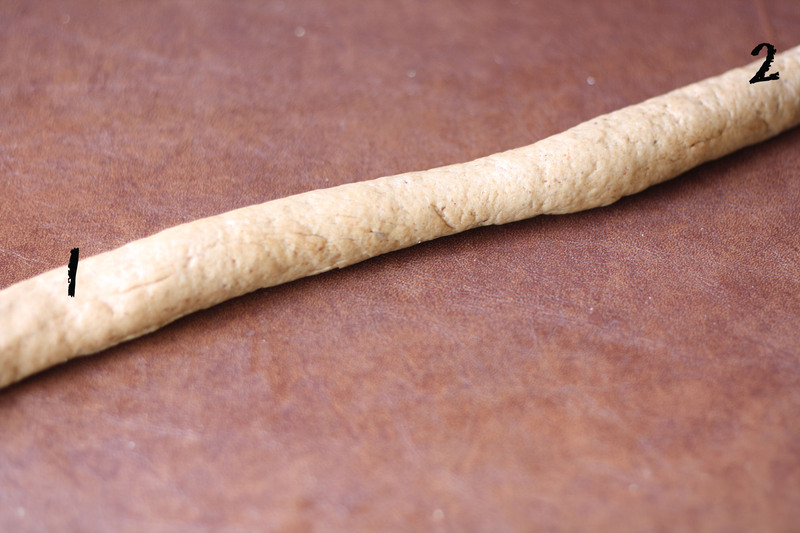 Here is a picture of some dough that is right where we want it to be. 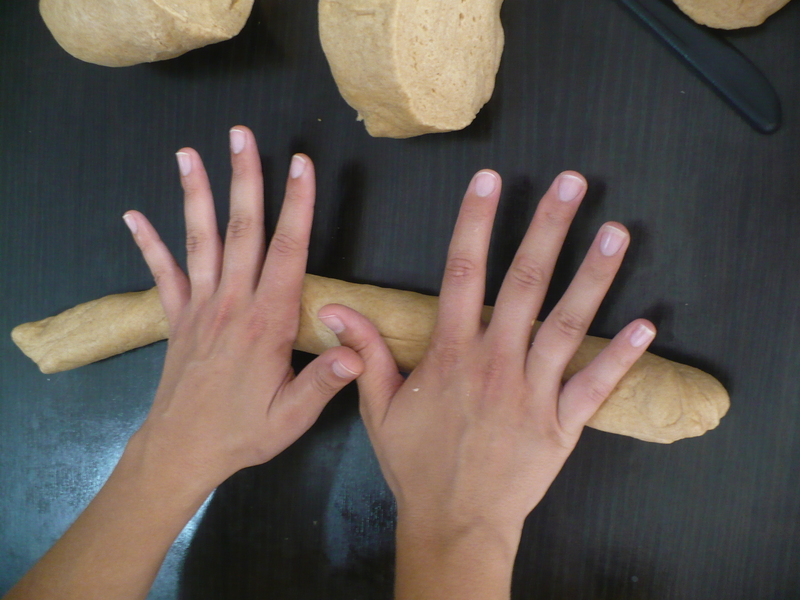 Press the dough gently with your hand until the top is smooth and uniform. Gently take it out of the bowl. Grease the bowl with a little bit of oil. 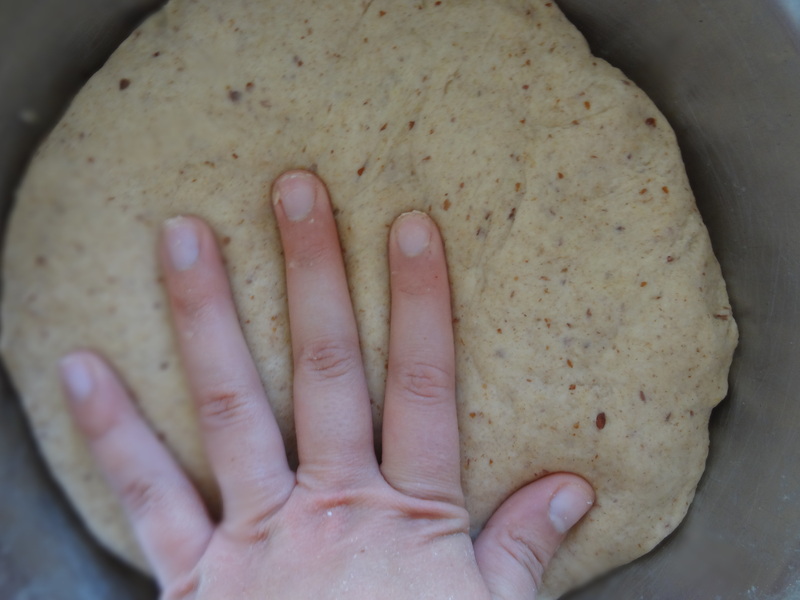 Now round the dough with your hands – basically try to gently fold in the sides of the fat disc of dough you’ve created and “tuck” them underneath the neater, smoother top. Place the dough back in the bowl, and smooth a bit of oil over the surface. 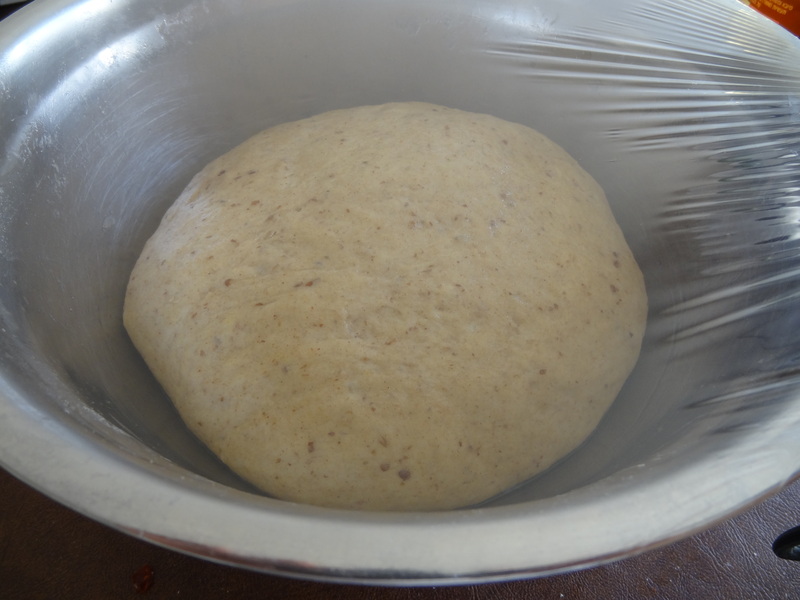 Cover with plastic wrap and let sit in a warm place for an hour or so, or until the dough has at least doubled in size. By doing this, you are moving around the yeast who has probably exhausted all the warmth and sugar resources where it was until now. 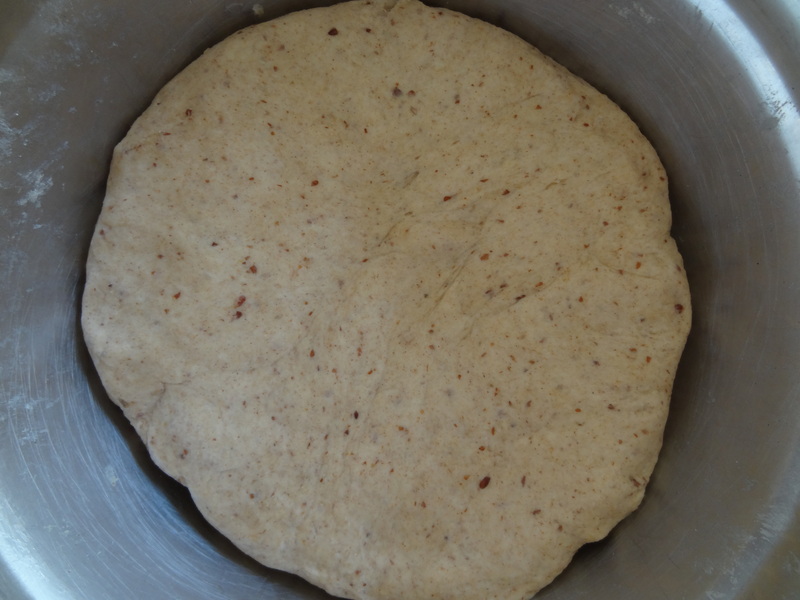 Now, shape the dough into whatever shape you like (see bottom of post for shaping suggestions – you will have plenty of dough to try both of them). Put it in a baking pan, smooth over a bit more oil again, and cover with plastic wrap. Let the dough rise again. Preheat your oven to 180 degrees Celsius (350 Fahrenheit). 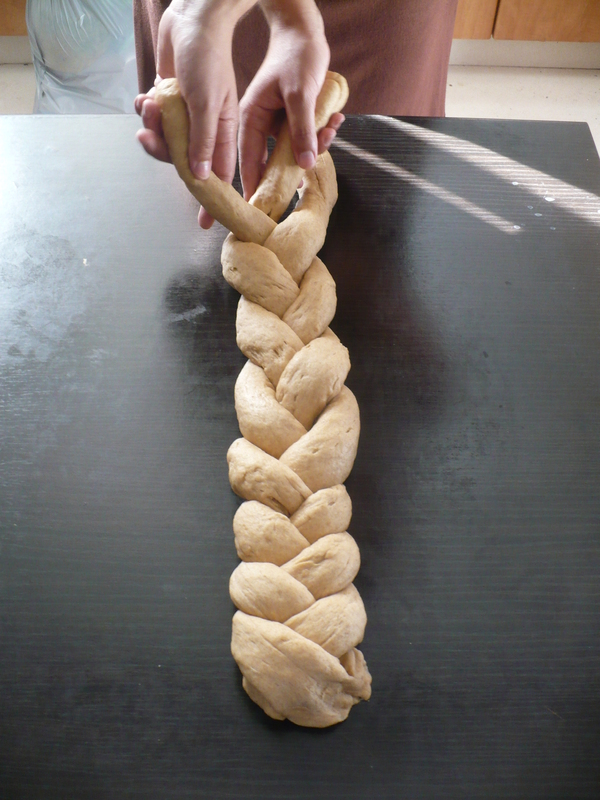 Now it’s time to top the challah. 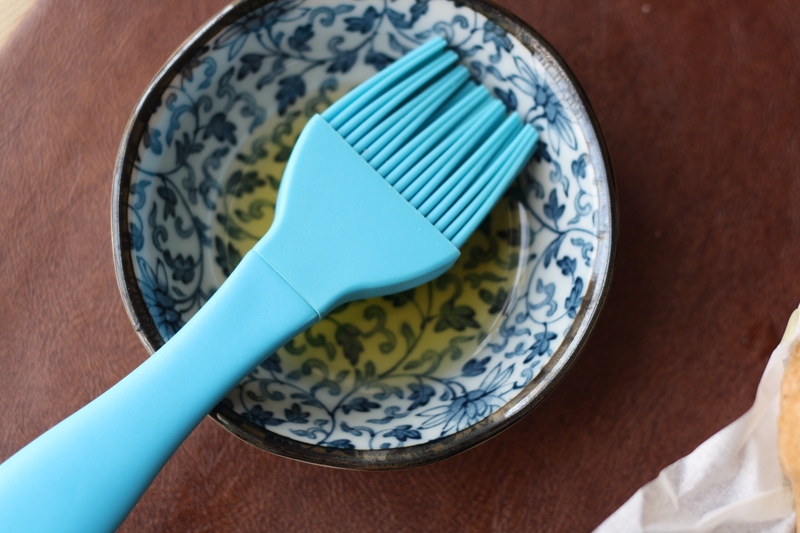 If you don’t mind using eggs, beat an egg to use as eggwash. Other wise, use olive oil. 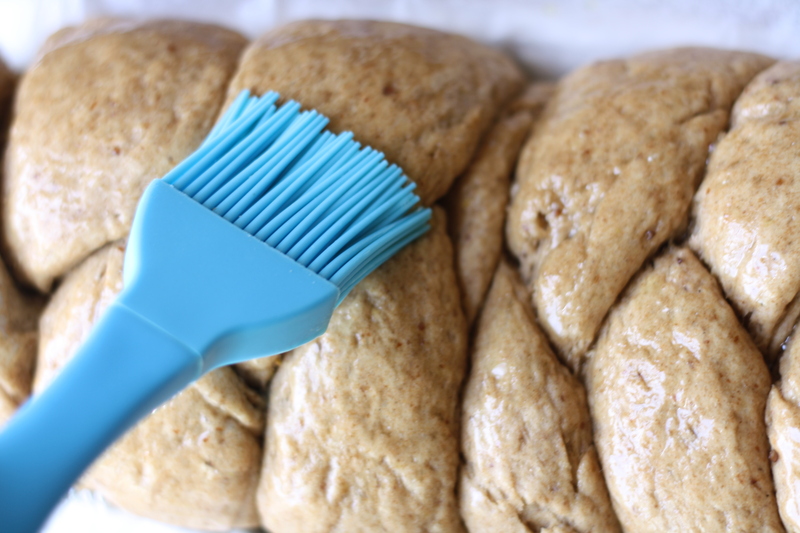 Brush the challah with your wash of choice, and then sprinkle whatever topping you like on it. 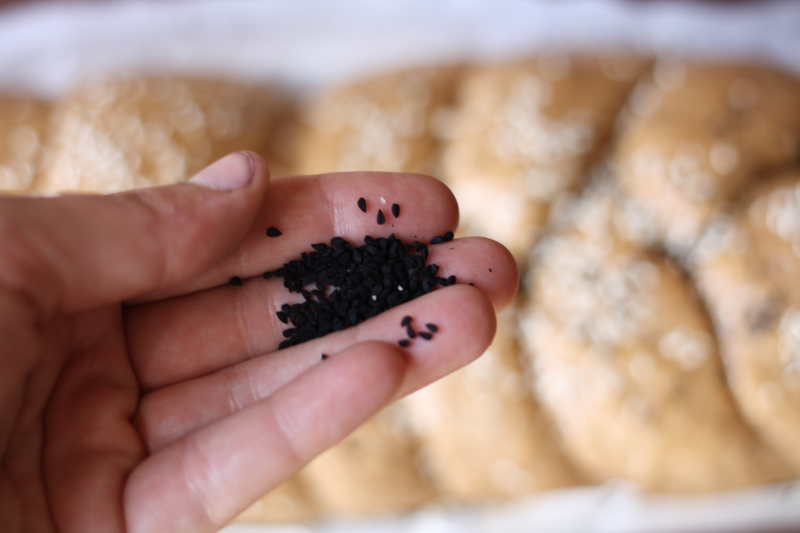 I almost always use sesame seeds and nigella. Whatever topping you are using, I highly recommend sprinkling some coarse sea-salt over the whole thing. It gives the bread this flavor that will remind anyone who eats it of their childhood and good times, but almost no one will be able to put their finger on exactly what that flavor is… (I’ll tell you, because you’re nice: It’s carnival pretzel). 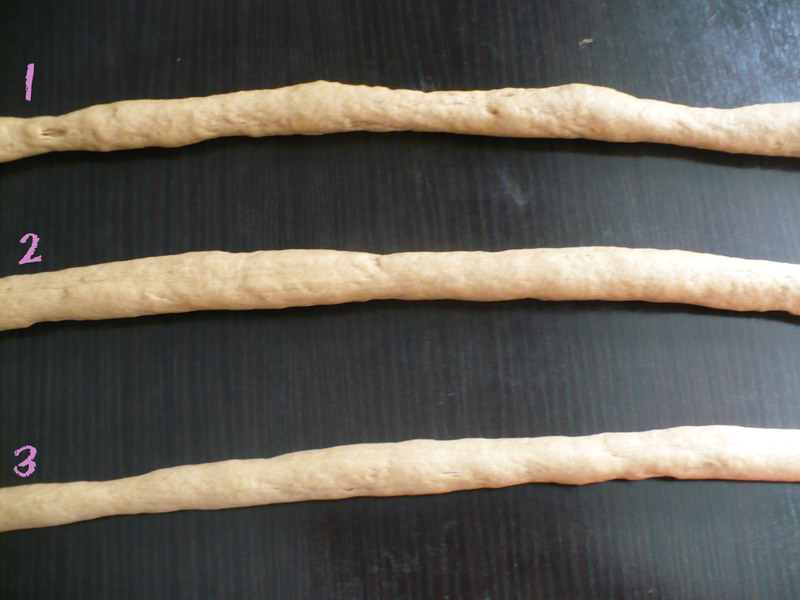 Bake for 30-35 minutes (depending on the size of the loaves) until the top is brown and crusty. 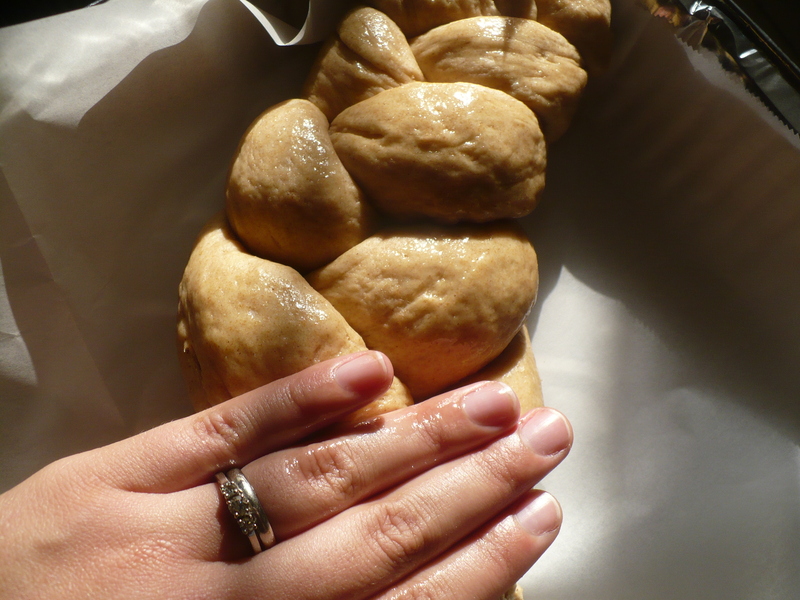 “Ready” challah bread will feel much lighter than it looks and give a nice, hollow “thunk” when tapped. Enjoy with your favorite dips, as a decadent base for french-toast, or with hummus. Roll each part into a “snake”. Place them close to each other, and number them. 1, 2, and 3. Bring snake 1 over snake 2, then re-number the ends. Now bring 3 over 2, and re-number again. Now bring 1 over 2 again, and re-number once more. 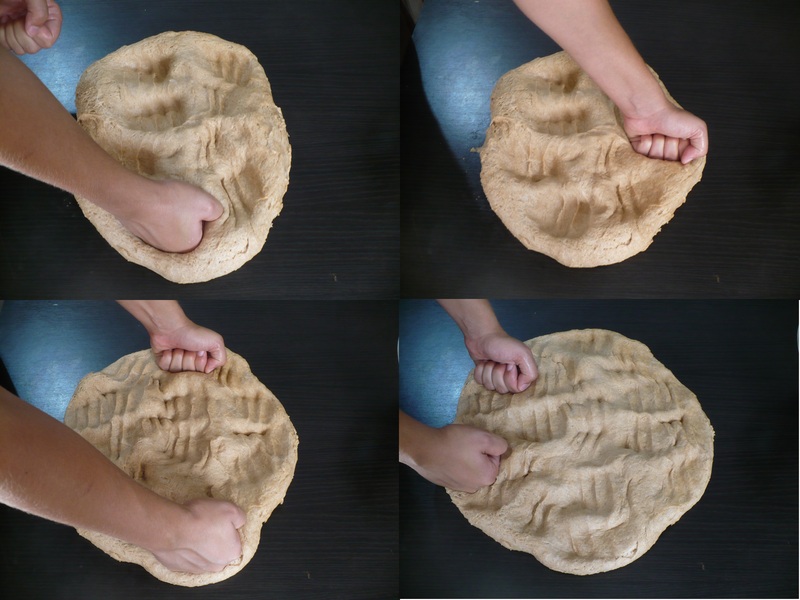 Keep doing this until you run out of dough! For a neater look, I like to start from the middle and do half in this manner, and then the other half the same, but backwards (1 behind 2, then 3 behind 2, etc). It might sound confusing in writing but I am sure you’ll get the hang of it. 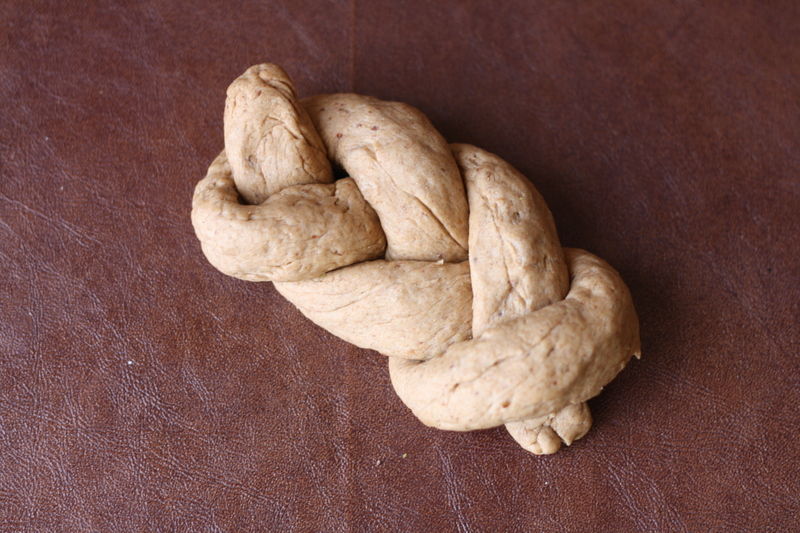 It gets its name because it looks sophisticated and elegant, yet a 5 year old could do it (in Israel, many 5 year olds DO do it – it’s pretty acceptable in many kindergartens to spend most of Friday making dough. 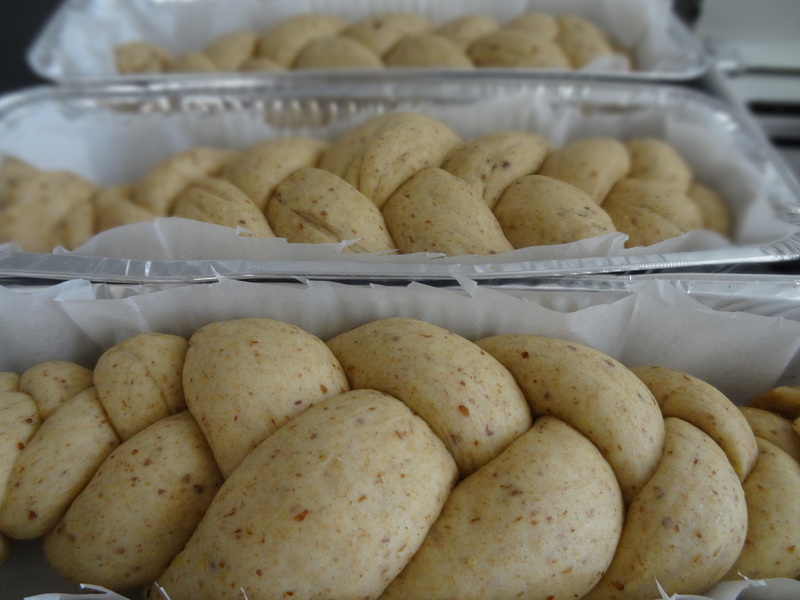 Then they are baked and every kid brings home a little Challah). 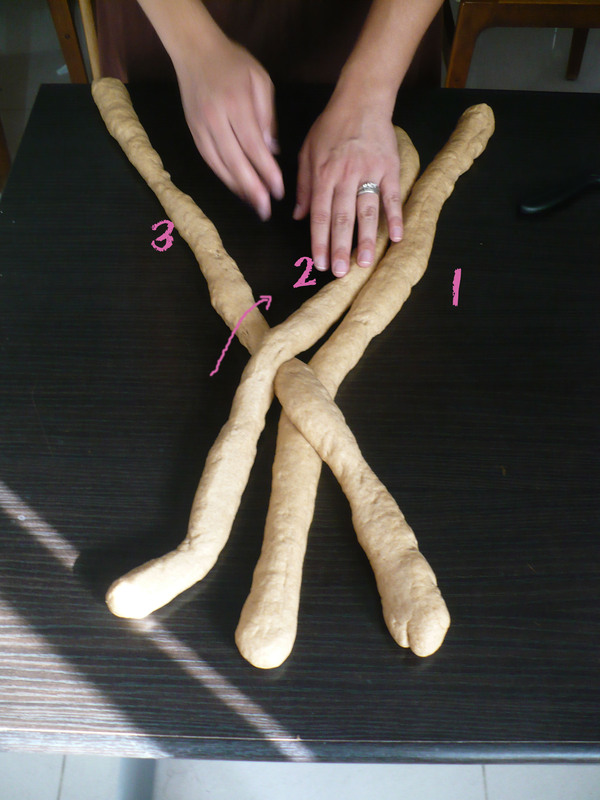 Roll out the dough into one “snake”. Number the ends 1 and 2. Unlike in the previous example, here they will keep their identities throughout the whole process. Make a loop by bringing 1 over 2 in a 90 degree angle. Then being 1 over itself so that the end faces the opposite way than 2. Bring 1 under 2 and through the loop. Then bring 2 over 1 and through the loop. 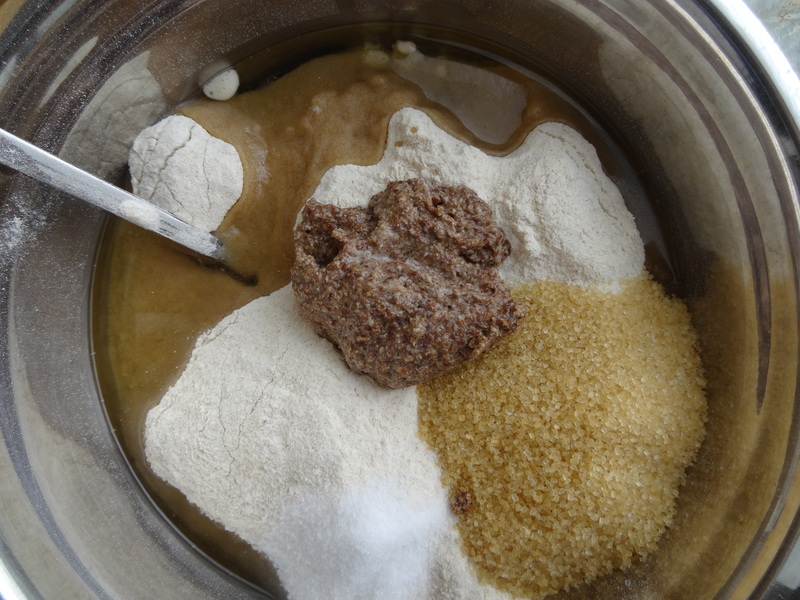 In your mixer bowl or a large mixing bowl, dissolve 1 cup of warm water with 1/4 cup sugar and add 3 Tbs instant dry yeast. 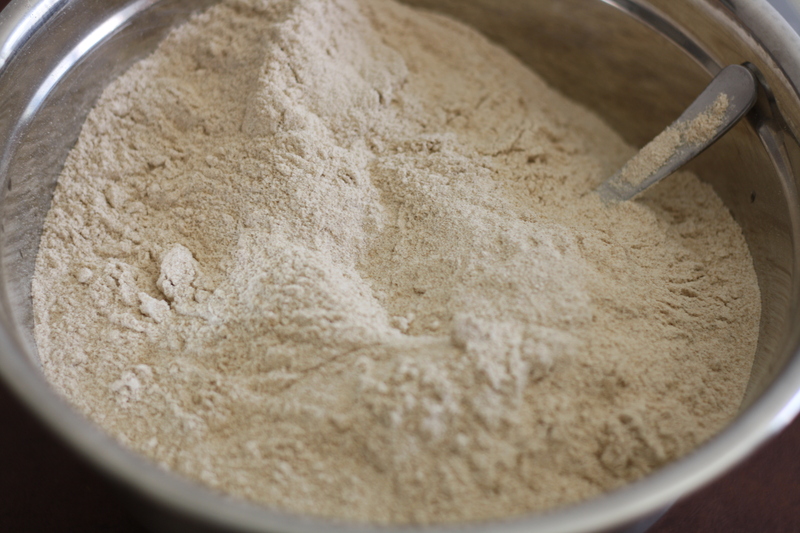 Measure out 1 Kilo (2.2 lbs) flour and add to bowl, covering the yeast-water mixture, without mixing. 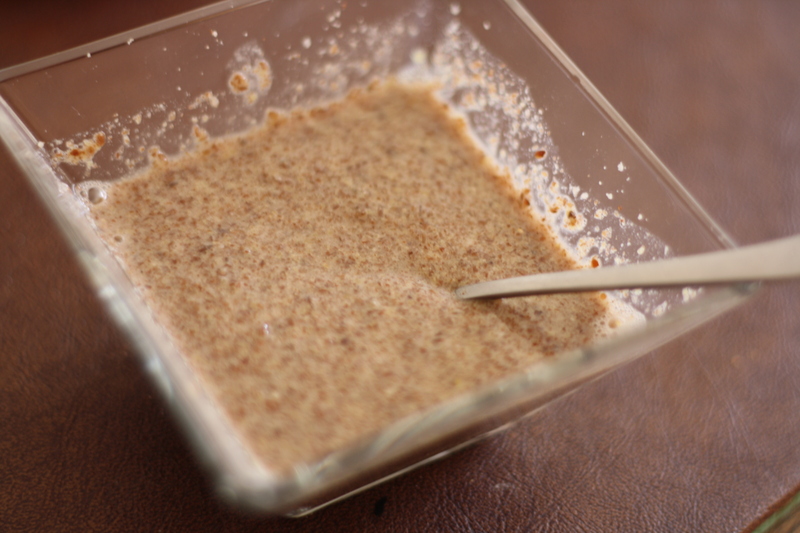 Make the flax mixture by mixing 3 Tbs flax with 9 Tbs water (skip if using eggs). Add remaining 1/4 cup sugar, 1 Tbs salt, 1/2 cup oil, and flax mixture OR 3 eggs on top of the flour. Start mixing, either by hand or with stand mixer. If using mixer, start slow. 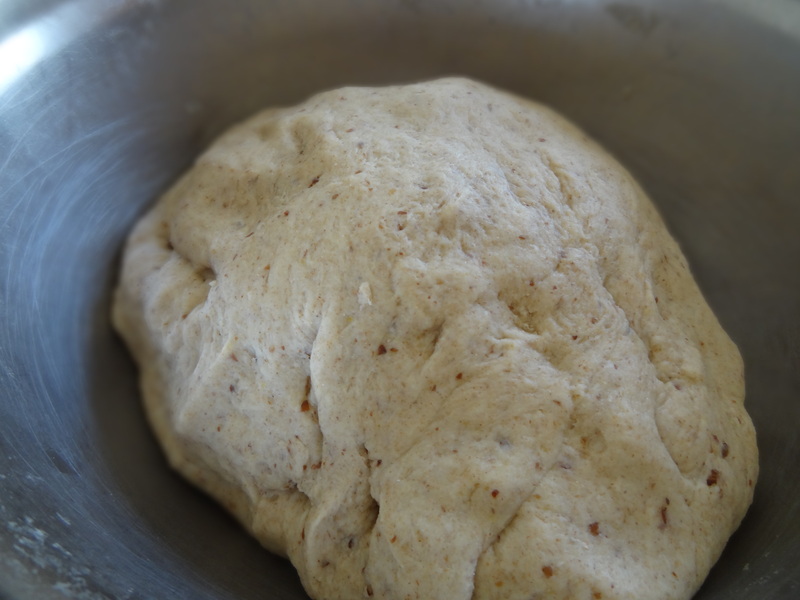 Add water slowly and patiently until dough is shiny and unifor, but not too sticky. You may not need all the water. 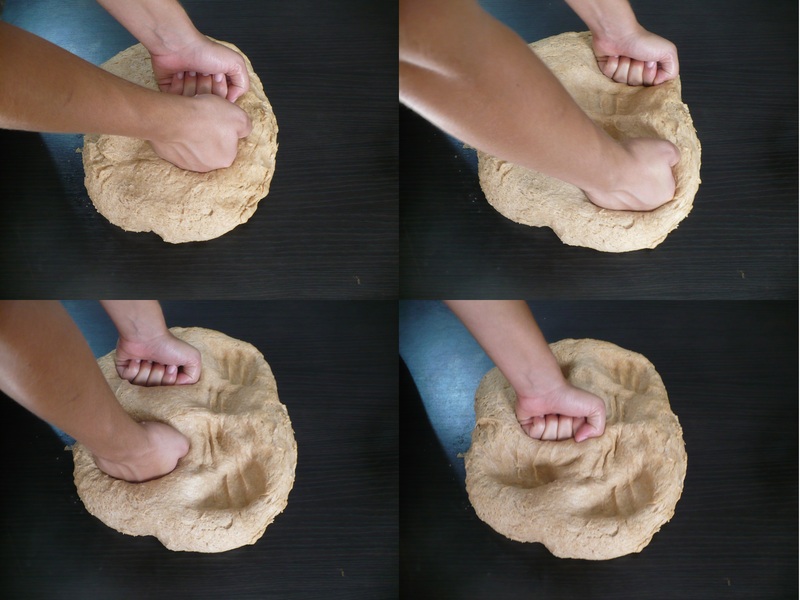 Knead by hand for 20 minutes or with the mixer for 10 minutes. 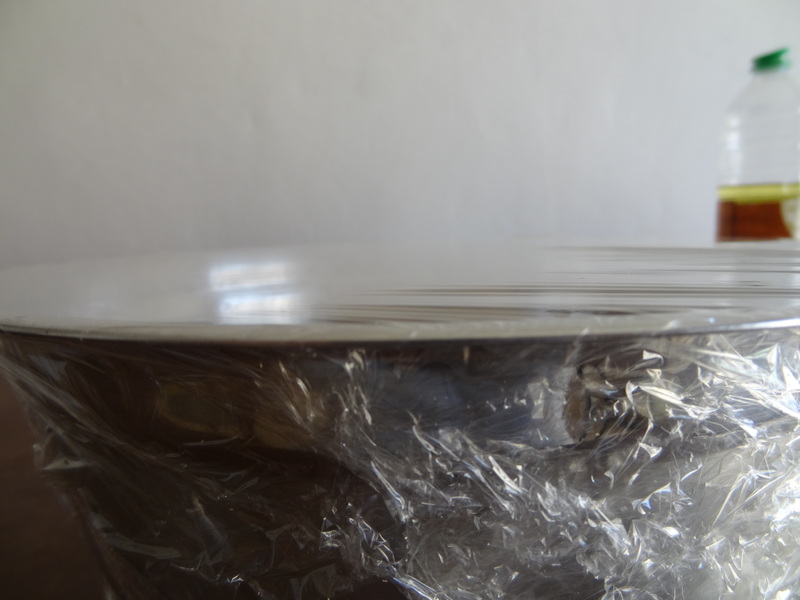 Oil the bowl and top of dough, cover with plastic wrap, and let rise in a warm place until doubled in size. 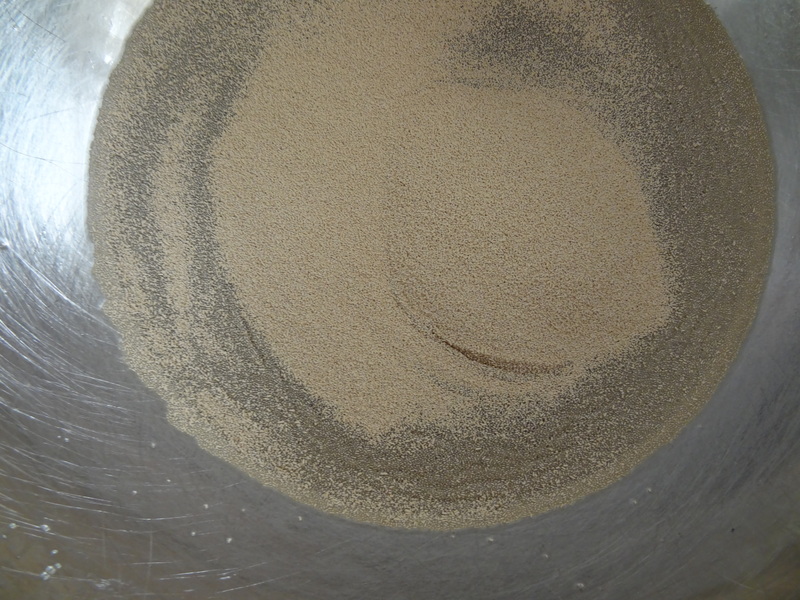 Pour out dogh onto lightly floured surface. Punch out air. Shape into desired final shape. Oil top of dough lightly and let stand again in a warm place. Brush with egg wash, olive oil, or baking soda water, sprinkle desired toppings, and bake for 30-35 minutes (depending on the size of the pieces). Check with toothpick if you are not sure. Let cool. Ready Challah will sound “hollow” when tapped gently. 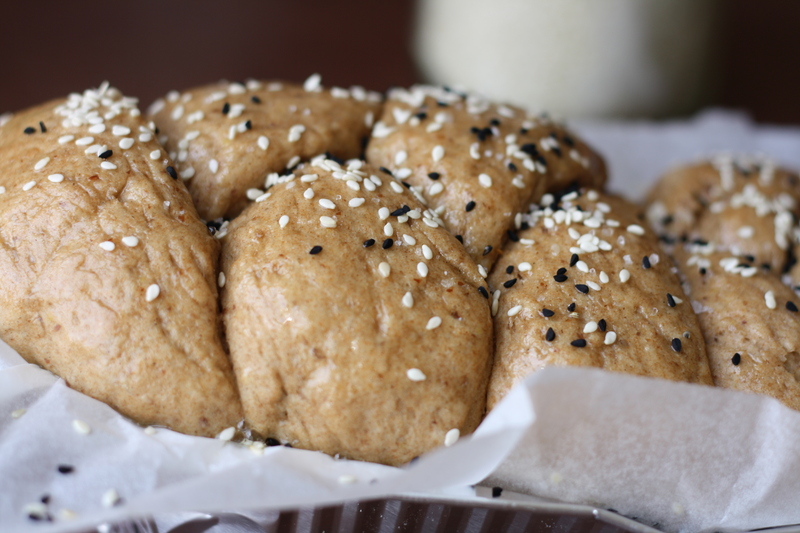 This entry was posted in Main Courses and tagged bread, DIY, homemade, non-dairy, vegan by Adi. Bookmark the permalink. 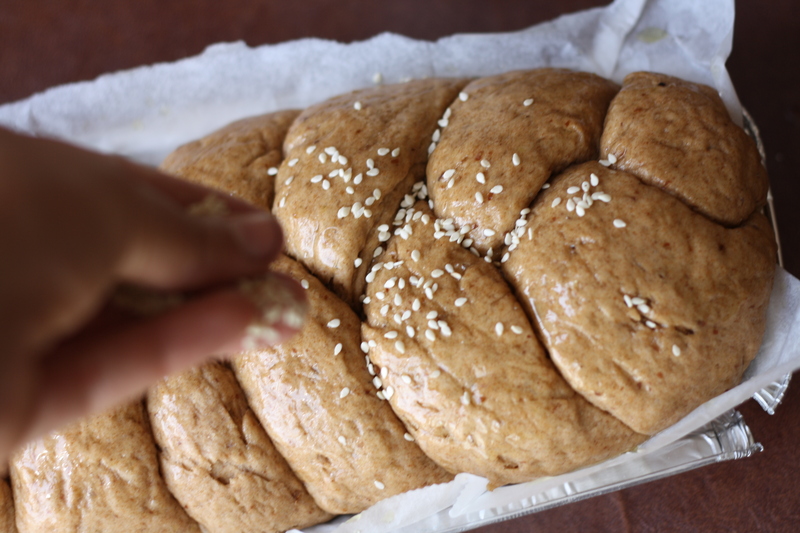 I was wondering if you could make challah with just flax and no eggs. I have a friend with serious stomach issues and I’m trying to get flax into his diet. Plus flax is cheaper than (good) eggs, around here – and better for you if you’re going to eat it on a daily basis. Does the flax affect the taste? If your making it vegan, I guess you haven’t made french toast with it yet. My favorite thing to do with challah when it starts to go stale is make french toast. Yum. 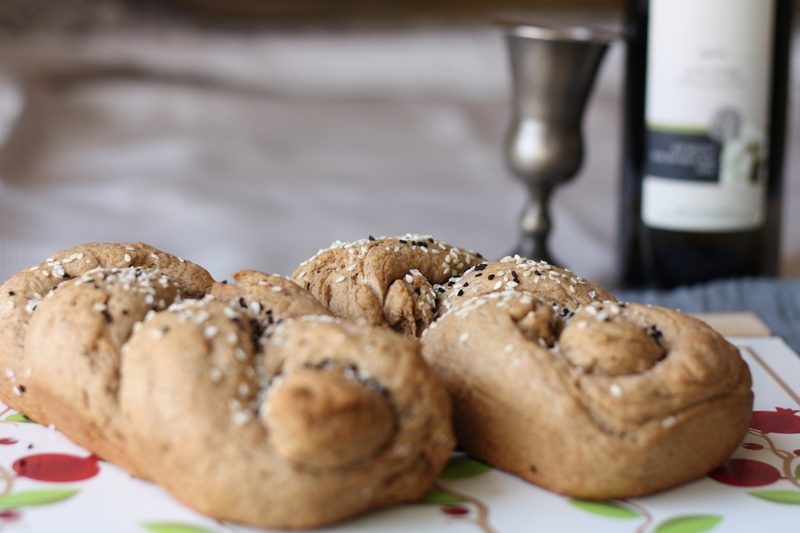 If it works well with challah, I wonder if flx works well with bagels too? Id totally eat a bagel everyday if they were better for me. I”m not really a breakfast person. Although challah is really good with cream cheese or peanut butter spread (that is basically peanust butter fudge in liquid form). Ah the things I need to give up to eat better…I’m getting there. Thanks for the tips on braiding. Usually takes two of us to do it. Maybe I’ll get the hang of it now. And I’ve ranted long enough, sorry. French toast from challah is SO good! Before we turned our house completely vegan, Mr. Graceful used to make it all the time… And the man knows his french toast! 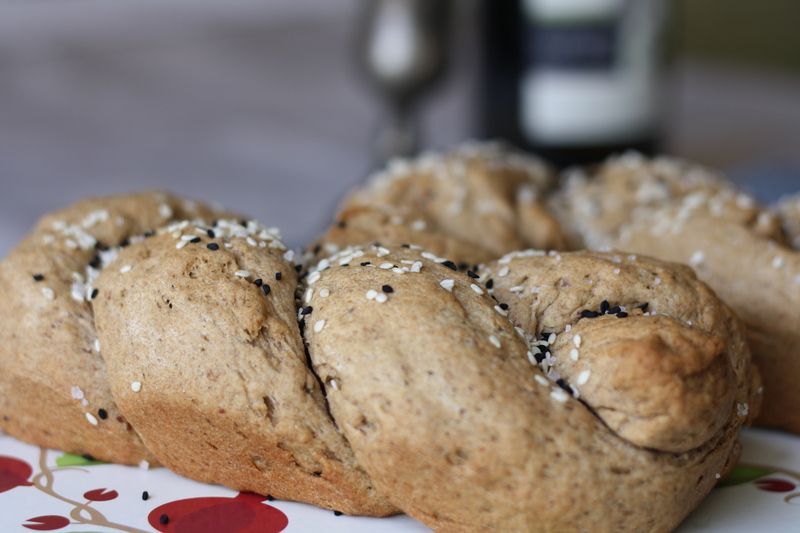 Now that no animal products enter our home, I make the challah only with flax – no eggs. 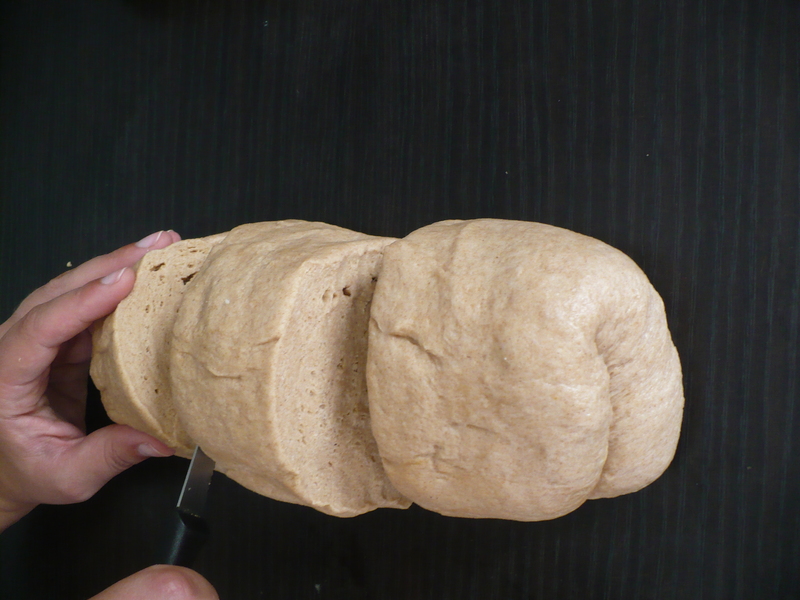 To be honest, I’m not sure it’s even that necessary as an egg-replacement in this particular recipe (other types of leavened dough work fine without it) but I like the way it looks and it does give it a more “bread-y” feel. 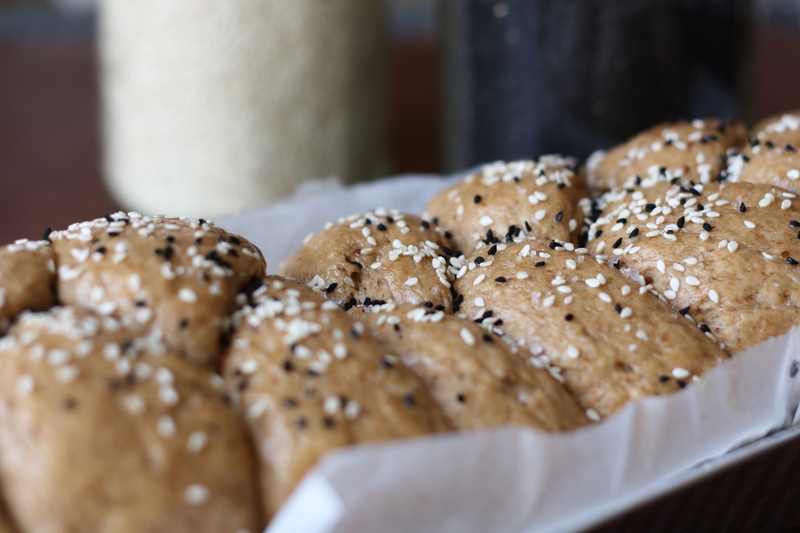 As for bagels – I actually have a very good recipe that doesn’t even call for eggs (it’s not even a specifically veganized recipe – it just doesn’t use eggs). I will try to post it here soon. Thanks for the inspiration! hey mrs. graceful! 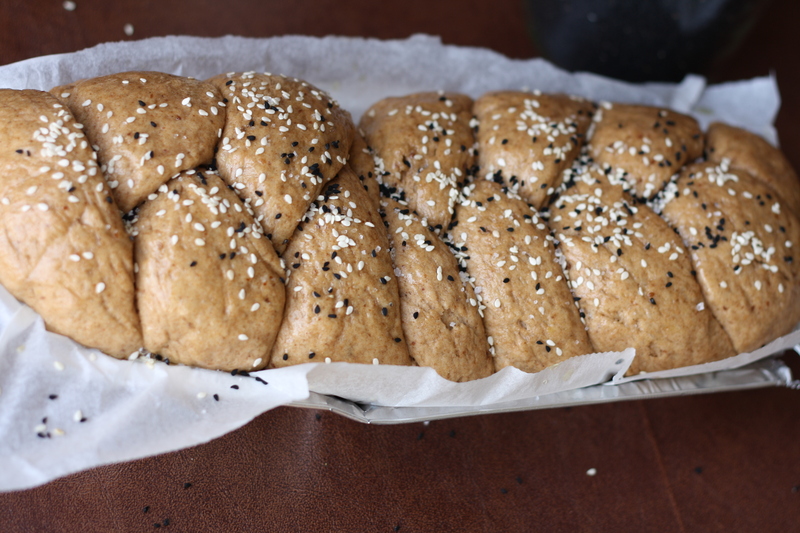 i looked up your delicious challah recipe after i tasted it at your house friday night! it wasn’t listed in the ‘recipes’ tab, just thought i’d let you know. 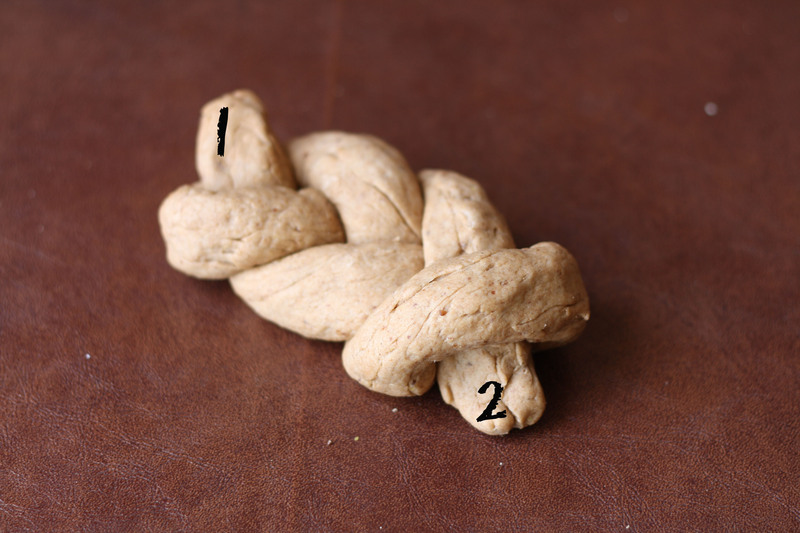 also question: it says 1/2 cup sugar and then later add the ‘rest of the sugar’ is there more than 1/2 cup sugar in the challah? Hey Tova :) Thanks for the heads up – the recipe has exactly 1/2 cup of sugar: 1/4 is mixed before the flour, and the rest afterwards. The instructions have been fixed! You can find the recipe under “Main Courses”, although it took me a long time to find it as well so I supposed I’ll have to have a “Breads” category at some point (better get going on some good bread posts in that case). It was awesome to have you over!! !